Here is what I made Anna for her birthday...although it was a few weeks ago, I am just now completing. Note to self....start projects 2 weeks before the intended start date because nothing will go smoothly. I was able to do most of this in one day with the help of Emily but when it came to sewing the bias, I was having major issues. After a serious breakdown with the machine, I read the manual (mom made me) and figured it out. How are mom's always right? Anyway, I found why I was skipping stitches (due to the needle) and I also completed the project quickly after figuring it out. Anyway, here it is...again, who knew I could do this?? 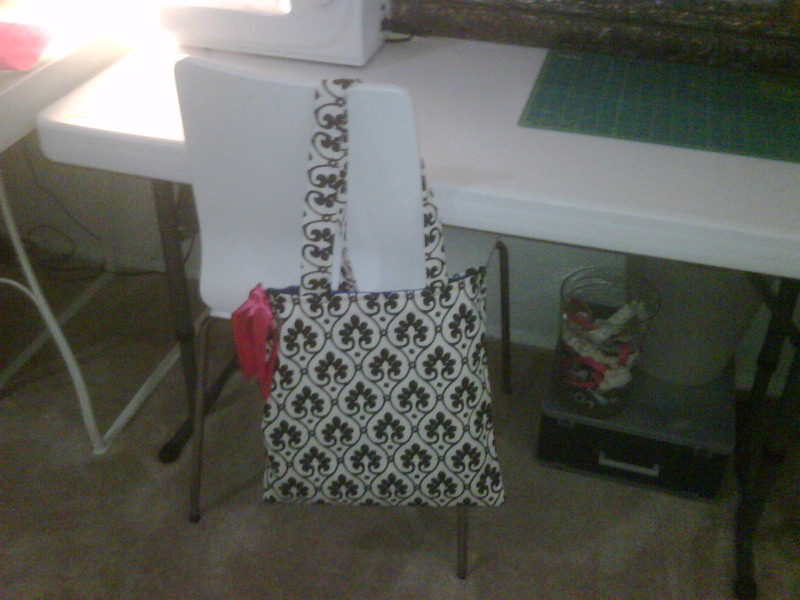 Sewing is fun! I have a couple more things that should be done before I leave...stay tuned!! Okay, so I have not been slacking...I have been making a pillow for my friend Shawna. It was her 30th birthday and I wanted to make her something. But since I am new at the sewing thing...my options were limited. I saw this pillow online and thought it was very cute. Now, I definitely changed it up and it did not look exactly like this but I think that is the fun part about creating something original. Jake did bring it to my attention that a pillow is a random present and it will probably get little use...yes but oh well. Another things...I should start by saying that I got the information from Elizabeth Hartman with Sew, Mama Sew! 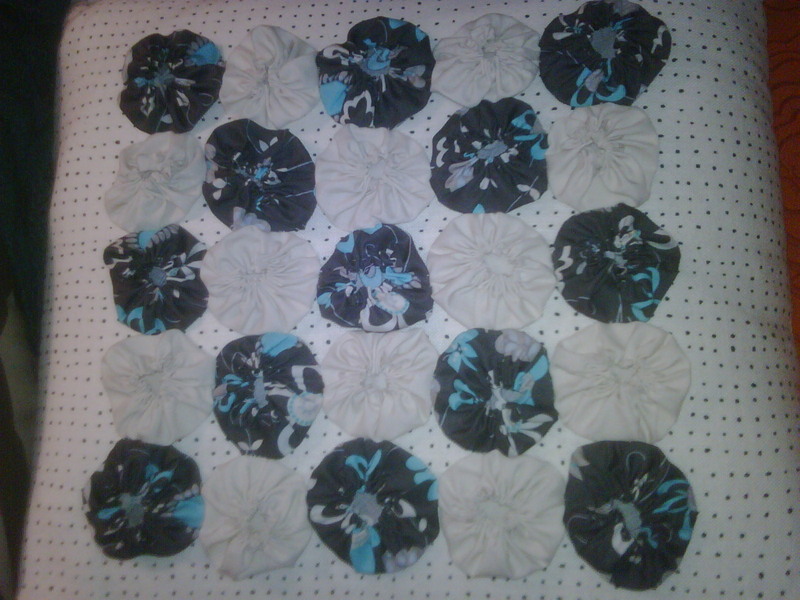 First I created these little flowers which apparently are called YoYo's...If you can learn to create these, you can use them for a lot of things. After I completed this, my mom suggested adding buttons. I have a lot so I went through and found some cute buttons that would jazz up the YoYos. This my friends, was not an easy task. All buttons are not created equal and some are on there very tight and some are not. 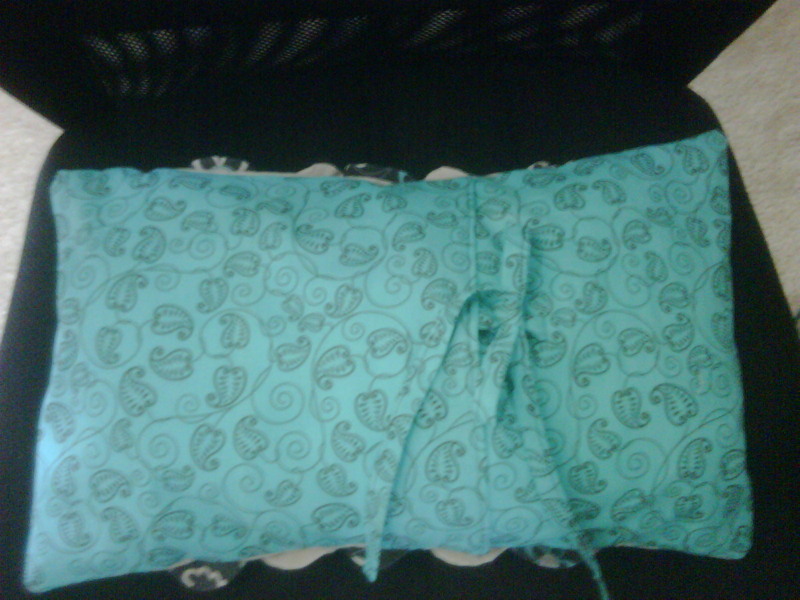 Adding the buttons definitely made this a non-functional pillow and now can sit on a chair in the back of the room. 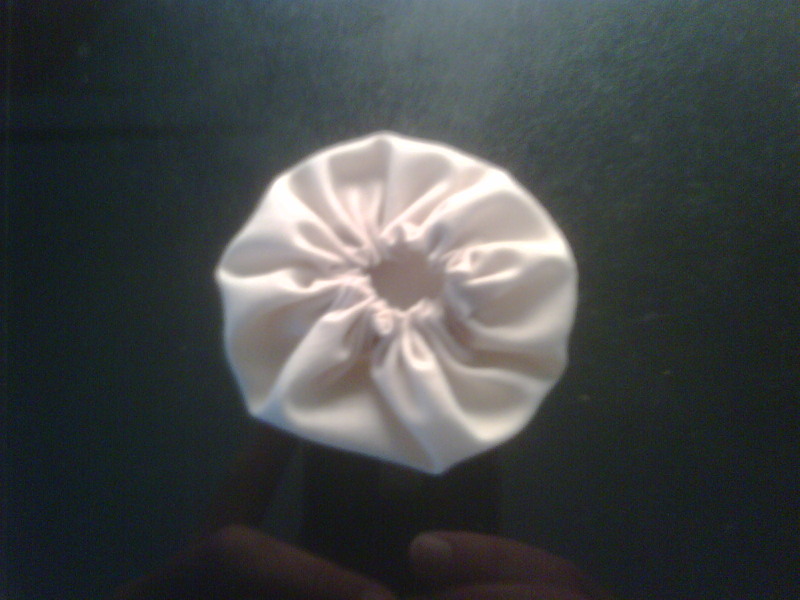 But it definitely gave it more depth and added interest to the pillow. So, once completed, I sent off to the birthday girl. Yea!! 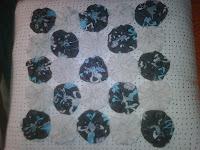 Stay tuned...today I am sewing a couple more presents for people so I will update you on Monday. Have a great weekend! I am celebrating two things in this post. First, that my lovely mother came over and fixed my sewing machine. It was pretty bad...but she came through and fixed it! She rocks! Next, I completed my first stuffed animal. While he looks okay from afar he has a few issues that I learned from for the next one. First, I think he would be cute if I hand sew the whole thing but that would defeat my purpose of learning with the sewing machine. I will definitely be trying this again but with some modifications. I also learned that it is definitely helpful to sew all outside pieces first and then sew his body together. For some reason I sewed the eyes on but not the nose before sewing him all together. Who knows...probably my impatient nature getting the best of me. 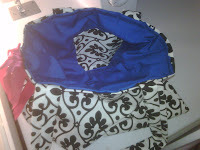 When my mom can over she suggested doing more square items to practice and to start with as the circular bottom is harder to sew. Her suggestion was to change the owl into SpongeBob...no thanks. Anyway, I have been practicing my straight lines as well and hope to have a lot more projects with better seems in the near future. 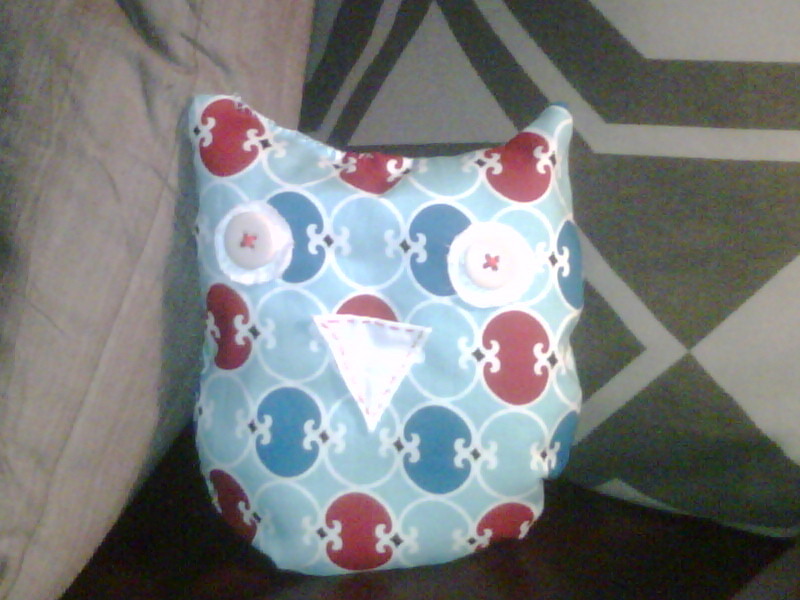 Last night I was making the cutest (hopefully) owl and my sewing machine got a little sick. It is currently not working and I have called in back up for help. My mom is coming over tomorrow to hopefully fix whatever is wrong with it. Knowing me, it is probably something I did and is an easy fix. Cross your fingers!